Product prices and availability are accurate as of 2019-04-18 03:05:15 EDT and are subject to change. Any price and availability information displayed on http://www.amazon.com/ at the time of purchase will apply to the purchase of this product. Simply place transparent guide over wound. 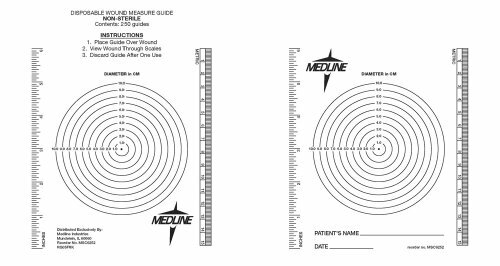 Circles measure wound diameter in centimeters. Straight rules are calibrated in inches and metric.